We couldn't be happier to work with local moto shops like , run by Kerry Sano. Kerry, a long time moto mechani, who after 15 years of wrenching and 4 years of running the Ducati / Triumph service department in NYC, just celebrated her shop's one year anniversary. Not only does she do impeccable service work but also jams out amazing custom bikes, both modern and vintage, with great style and grace. 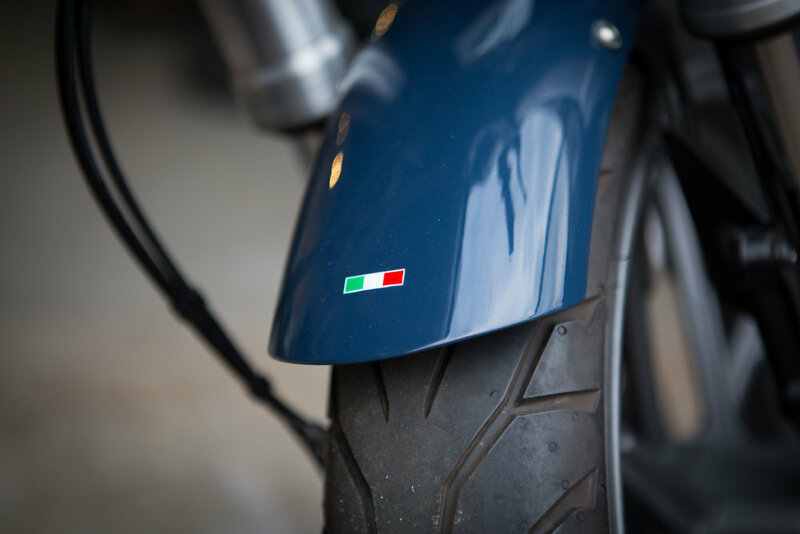 If you have a motorbike and are looking for a custom touch, MOTOVELOCITA should be your next stop. Ben Falcon of Horse Cycles Paint recently completed tank and fender. Gloss navy / matte red logo and some Italian flag action on the fender. 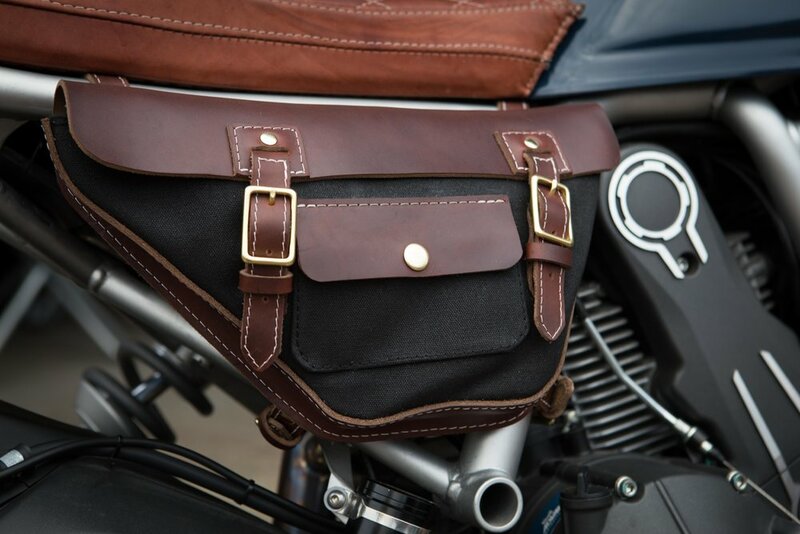 Custom saddle and tool bag. Kerry in her Bushwick Brooklyn shop zone! Kerry in the moto zone!